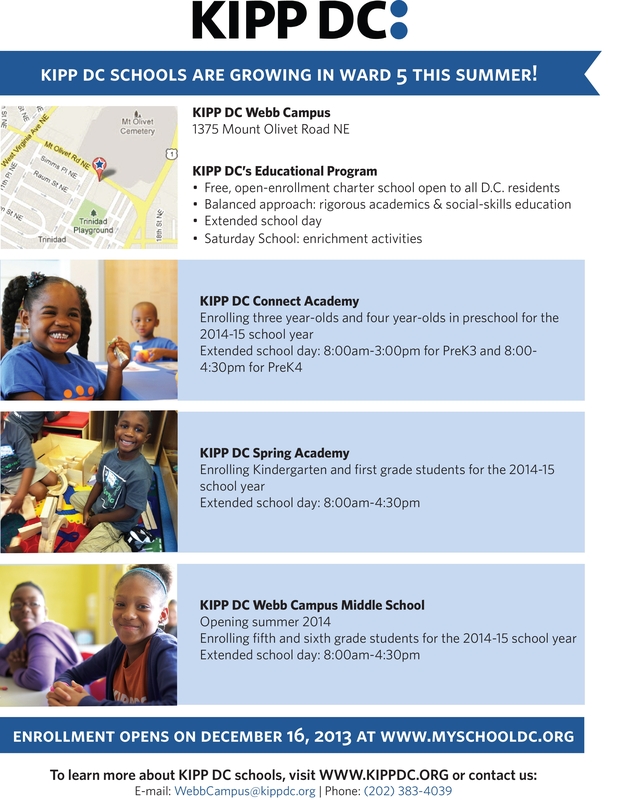 Tags: KIPP DC, Webb E.S. Join Commissioner Tina Laskaris (ANC-5D06) for a Single Member District meeting on Monday, December 9, 2013, 6:30 pm at Joe Cole Rec Center. Representatives from Higher Development Academy (HDA) will provide a presentation of their plans to establish a private school for adults at 1125 Neal St. NE, adjacent to Center City Charter School. Holy Name Catholic Church will lease the building to HDA. The property was previously used as a child development center, and HDA is seeking a Special Exception from the Board of Zoning Adjustment to obtain a Certificate of Occupancy to use the building to work with adults rather than with children.